Home Feeding 10 Homemade Solid Foods Your Little One Will Love! 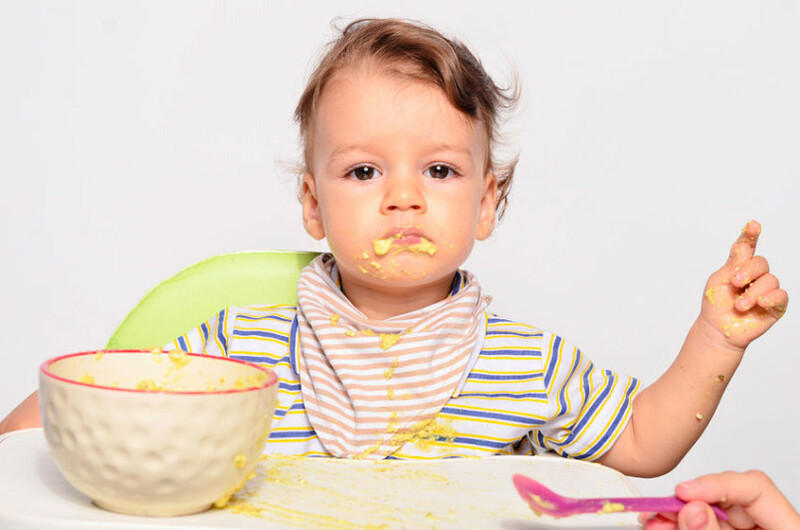 Transitioning to solid foods can be exciting, stressful, and a little bit messy! Trying to determine what textures and tastes your child will like is a guessing game that can be conquered by no other method than good old trial and error! If your little one doesn’t like the first thing you try (or first ten! ), don’t get discouraged! They have different taste preferences just like you do, it just takes some more time to figure out what it is without the words to explain it! Check out this variety of recipes we’ve collected (they’re bound to like ONE of them!) for some homemade goodness! Never leave your child with solid foods unsupervised! Guidelines suggest solids should be started no earlier than 6 months, but you know your baby best, so follow their lead, and your instincts! These hold together to make a great and healthy finger food, that is still soft in texture as your child learns to chew it properly. Healthy, and so delicious you’ll be eating them too! An easy to make snack for your little one at anytime of day! This is not only a healthy option for your child, but will help them in learning to differentiate textures in their mouth between the liquids and solids. Easy to throw together, and helps with coordination! Warning…your child may be stickier than usual after these! Another tasty option that will help your child explore different textures with their tongue. These preservative free goodies will come in handy more often than you know! Homemade, delicious, and a perfect “make ahead for on the go” food! This is a great recipe that your child will love as an older infant or toddler! Crepes are great because younger infants can eat them plain, and then you can add toppings as your child gets older! Mix it up and have fun! Embrace the mess and enjoy the ride! If you have a freezer full of homemade purees, you can use them up as a pasta sauce or dip. Looking for more food inspiration – take a look at more recipes in the menu bar – under categories.